When I was younger, it would be common for me to freak out if anyone walked into the family room because I would use almost the entire space to sort stack of trading cards I had opened from boxes. Often during these marathon sorting sessions I found myself frustrated by getting duplicates of certain players that I didn’t really collect. Soon however I learned that I could use these duplicates for “trade bait” with my friends and other dealers at shows and shops. You had to play it cool though, much like poker where you don’t want to show your hand and let your potential trade partner know you don’t have interest in these particular cards anymore. 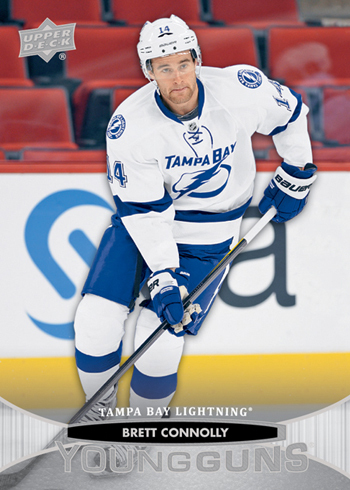 Brett Connolly helps us see the fun and frustration of pulling duplicate Upper Deck NHL rookie cards. And maybe that’s where the idea of the concept for this video came from. What if trading cards could talk and say something about the situation of pulling duplicates and making trades. Take a quick minute to enjoy this comical glance at what they might say about the situation.